Are you thinking of moving to Richmond, CA? We did some research and put this article together to help you make your decision. 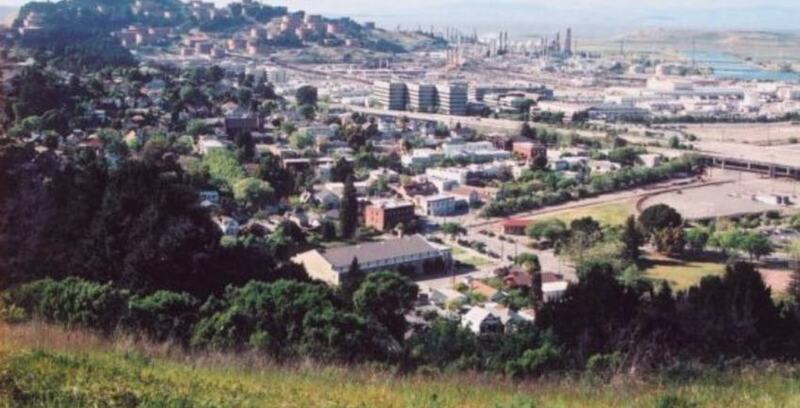 Richmond is located in the east part of the Bay Area, north of El Cerrito and has a population of 103,710. Typically, the high is about 73 but there are some summer days when it exceeds 80 and the record is 107. The coldest month is January and the average low is about 43. Richmond only receives about 5 inches of rain each year, and no snow. The median home value is about $440,000 and the average rent is $1725. You might get lucky and find a very small single family residence for the rare condo for less than $400,000. For renters, there may be some small studios for $1,000 or some shared options for less than that. Moving to Richmond is something that may appeal to someone who wants to pay a mortgage instead of rent, or someone who wants lower rent. The Richmond public schools are rated below average by Great Schools. For adults, there is a 2-year institution, Contra Costa College about 2 miles from Richmond in San Pablo. Berkeley City College is 8 miles south of Richmond. Dominican University in San Rafael offers both bachelor’s and Master’s degrees. It is about 9 miles from Richmond, across the Richmond Bridge. UC-Berkeley offers a very wide range of degrees and is about 8 miles from Richmond. In the Bay Area, places like San Francisco, Berkeley are Oakland are known for having quality restaurants, but Richmond’s offerings don’t receive as much attention typically. However, there are quite a few eateries that are popular. Rosie the Riveter WWII Home Front National Historic Park. Richmond has its own BART station, so if you work in San Francisco or the East Bay, you can ride a train instead of having to drive or ride a bus. The closest airport is in Oakland, or if you prefer a larger one there is SFO across the bay. Moving to Richmond is a choice that will mean you are further away from San Francisco and Oakland, but you will still be in striking distance. For Buddhists, there is the Dharmata Foundation which is focused on Tibetan Buddhism. For those who practice Judaism or are interested there is the Temple Beth Hillel. Of course, this list is just a sample. Other than the parks within Richmond, you can also access nature by driving a short distance over the Richmond Bridge into San Rafael or you can turn left and venture into Larkspur or further west until you get into Fairfax. Near Larkspur, if you turn south on the highway you can then drive to Tiburon or Sausalito. If you drive through Fairfax, you can go all the way to Point Reyes, so there is abundance of nature on the other side of the bridge. If you go the other way, towards El Cerrito and Berkeley, the East Bay has many parks, including the open space area at the Berkeley Marina. The Richmond Marina has some open space and if you have a boat or know someone who does then you can take it out into the bay. Moving to Richmond might be a good choice from the standpoint of housing costs, or if you want to be in an area with less population density. After reading this article, are you still interested in moving to Richmond?